Designer Julie Nutting has created a paper collection by Photoplay called "Seeds of Kindness" --an inspiring scrapbooking collection of gentle florals and beautiful garden decor, with sweet whispers of pink and yellow flirt with lovely hues of lavender and teal, all wrapped up in accents of soft greys. In the Julie Nutting Seeds of Kindness collection, her popular hand-drawn dolls make another appearance, here in the form of die cuts! The Seeds of Kindness Ephemera Die-Cuts which I am featuring today, coordinate perfectly with the PhotoPlay Julie Nutting Seeds of Kindness 12x12 Patterned Paper and the 6x6 paper pads. 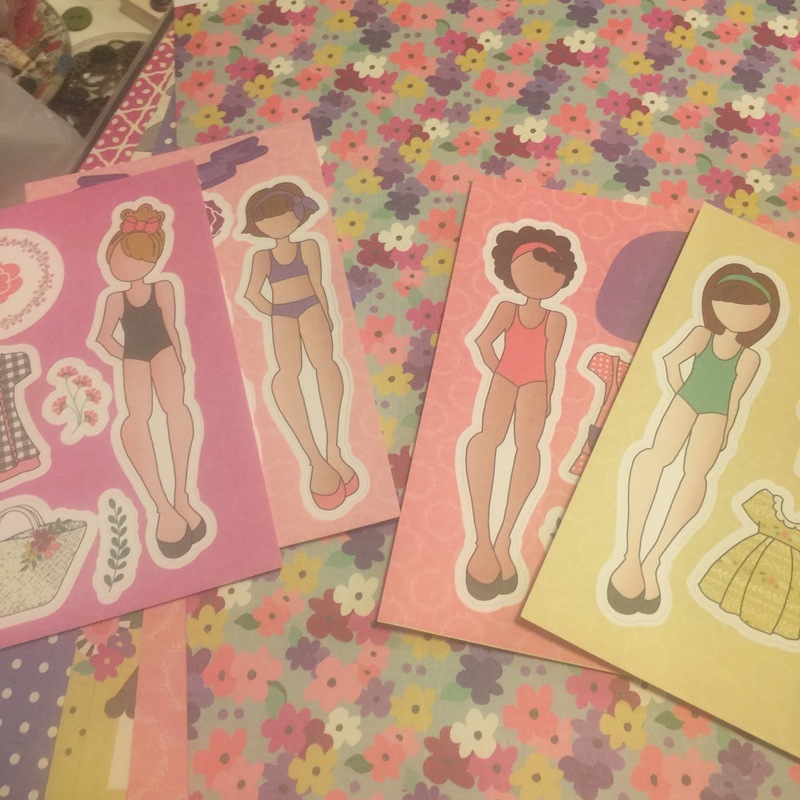 Each die cut pack comes complete with 6 cards, the doll, her clothes and lots of fun accessories! They would be great for creating a scrapbook layout, handmade card or your own fun paper craft creation. ReNae here, with the FotoBella Design Team. I used the doll die cuts as a fun and easy way to create a set of greeting cards! All you need is some card stock and adhesive and you have a card! And the sentiments are so sweet! Click here to order your own Julie Nutting Seeds of Kindness paper collection!